Queensland continues to lead the nation in steroid arrests as young men bulk up with drugs purchased through foreign websites. Over the past decade the state has accounted for the highest proportion of national steroid arrests, according to the Australian Crime Commission’s latest Illicit Drug Data Report. Nearly 60 per cent of all steroid arrests in Australia in 2012-13 were made in Queensland, the report shows. Steroid prices. There was a 32 per cent increase in steroid arrests in Queensland in 2012-13, taking the year’s total to 392. Among those arrested, 316 were identified as consumers, compared to 76 providers. Males accounted for the highest proportion of arrests, with 282 consumers apprehended. Thirty-four female users were arrested in 2012-13. Nearly 60 per cent of all steroid arrests in Australia over the past decade were made in Queensland. Bond University criminologist and former Gold Coast detective Dr Terry Goldsworthy said the arrest figures translated to increased steroid use in the state. “It’s indicative of more people using, and that’s also borne out by needle-exchange data,” he said. According to Australian Needle and Syringe Programs Survey, more young men are injecting performance and image enhancing drugs, dubbed PIEDs, in Queensland. Seven per cent of Queensland men new to injecting – less than three years since their first injection – admitted injecting PIEDs. While overall use of such drugs remained low, the percentage of people taking steroids was growing, Dr Goldsworthy said. “By and large, Queensland is pretty much up there in front in terms of steroid use,” he said. Professor Jake Najman from the Queensland Alcohol and Drug Research and Education Centre based at the University of Queensland said the increase in steroid use correlated to an increased pressure on young men to develop muscular physiques. “There is a body image issue here,” Professor Najman said. “On one level this is not new – it has been going on for 50 years or more – but what’s new is the actual body shape itself that men are trying to attain. Broad shoulders atop a muscular frame is considered the most desirable physique among young men. “That wasn’t the image even 20 years ago,” he said. 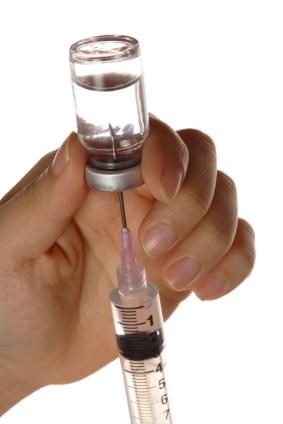 Steroid use is not limited to men in their late teens and early 20s however. An undercover operation discovered six Gold Coast police officers were using anabolic steroids for “no good medical reason” in 2010. Last year, two students aged 17 and 16 from elite Brisbane private boys’ school Nudgee College were arrested for supplying steroids to classmates. “What we’re seeing is a very interesting shift, where perhaps in the past it was women who tended to be more concerned about their physical appearance, now we’re seeing a lot of young men – and sometimes not so young men – who want a particular kind of body,” Professor Najman said. Dr Goldsworthy said Queensland’s climate played a role in steroid use. “You’re more likely to find men parading with their shirts off on the sunny Gold Coast than you are in Tasmania,” he said. The availability of the drugs and their relatively inexpensive cost has also contributed to a rise in their use. “There are many products; we’re not just talking about a single product or even a couple. There’s a diverse range of products, including peptides, steroids and a whole lot of ‘new drugs’ and they are readily available in China and Chinese agents will happily send them to Australia in relatively non-descript packaging,” Dr Goldsworthy said. A single 10 millilitre vial of testosterone enanthate costs about $230 in Queensland, while a course of 10 vials can be bought for between $140 and $190 per vial. The price for a 10 millilitre vial of anabolic steroids ranges from $140 to $180 when purchased in sets of 10 and 20. In comparison, one gram of cannabis costs between $25 and $50 in Queensland, while one gram of cocaine costs between $300 and $400. Bond University will launch a study this year examining the motivations for steroid use among young men, particularly on the Gold Coast, and its long and short-term effects. “It’s a mistaken belief for the people using these drugs to think, ‘I’m just taking a body supplement’,” Dr Goldsworthy said. “While traditional drug users might be chasing the high of stimulation from a drug, these drugs … are giving a physiological high in changing the way someone looks and that may lead on to a psychological high.